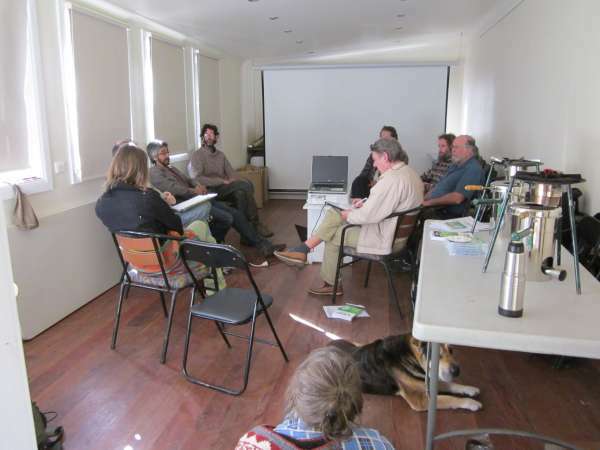 Biochar Action Learning Circle Another world first. 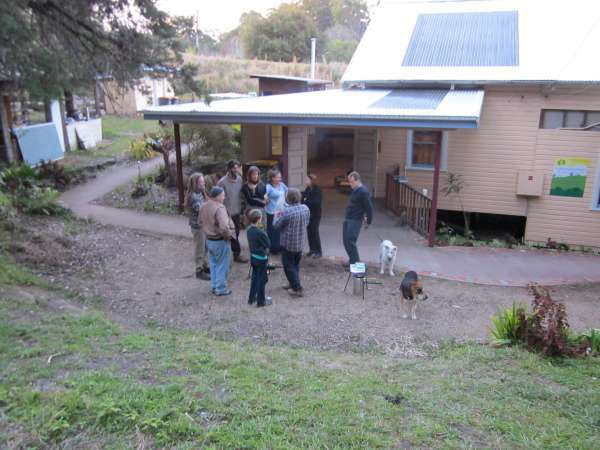 World First Biochar action learning circle happened in Blue Knob Hall just outside of Nimbin, NSW Australia on Saturday 23rd of July 2011. This successful event marks a mile stone in the development of biochar industries and learning. 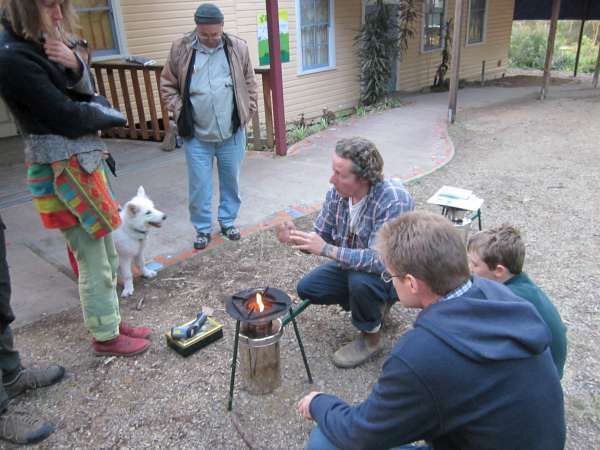 Blue Knob Hall Biochar Action Learning Circle world first. has been working with the circles concept for well over 15 years.He is involved in a circle that is still running for over 10 years this year. Circle learning has been happening for as long as mankind has been around, from ancient tribes right up to today’s highly educated scholars. In Australia however this intrinsically important concept has been erased from our society by the one size fits all Edumickation system. According to a recent study, statistics show, that joining a meaningful group that meets just once a month produces the same happiness gain as doubling your income. Source == Pgs8, 32, 168 from Friedman, H. and L. Martin (2011). The Longevity Project: Surprising Discoveries for Health and Long Life from the Landmark Eight-Decade Study. London – printed in the US, Hudson Street Press. 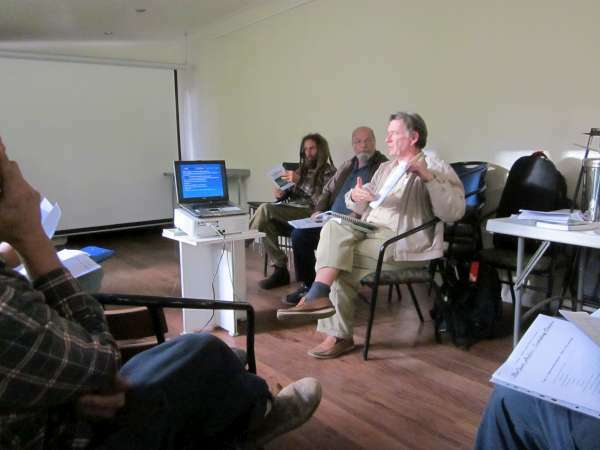 Charmaster Dolph Cooke of Biochar Industries said ” by unleashing peoples potential for learning and making learning curves a thing of the past, people from all walks of life can now enjoy rapid knowledge expansion coupled with the joy of brotherhood”. Charmaster Dolph pointed out that like everything to be sustainable Biochar has to be done right starting local i.e. low temp charcoal + from dead or purpose grown trees, off- cuts by council in clearing for roads and power-lines, domestic tree trimming and so forth. 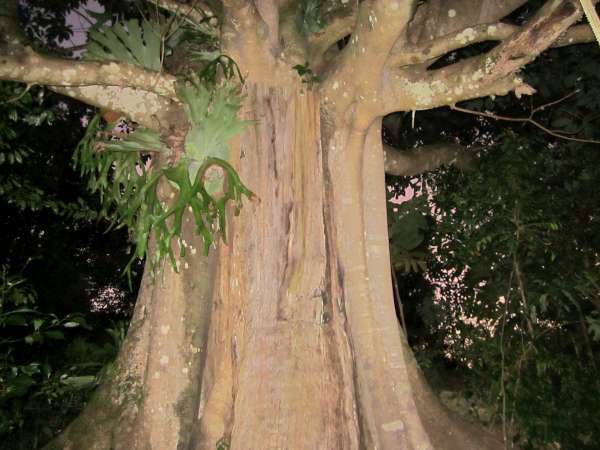 Not munching or wood-chipping up old growth forests etc. Plus Biochar can come from all sources even people, cane toads etc. 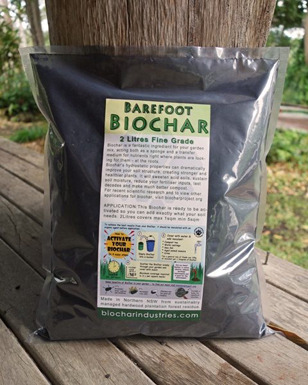 Biochar also releases gasses that can drive a vehicle and heat that can be used to heat another retort so its efficiency multiplies – Amazon Indians millennia ago developed the multiple retort idea (they would build it on a hill with the gasses moving upwards. Tim Flannery considers Biochar to be almost a ‘magic pudding’. Further Biochar has enormous benefits in the agricultural industry and lasts for centuries if not more – this is hugely more efficient than use of the current crop of agro-petro-fertilizers. So Biochar has multiple uses (from carbon sequestration, to heat source, to fuel source, to fertilizer and so forth) that indigenous peoples have recognised for millennia inc. the Australian Aboriginal and as such we have much to learn from following their sustainability practices. To try and explain how Biochar Action Learning Circles work would be an enormous task something a kin to trying to explain how a human mind works. however I can tell you how it does not work and perhaps from this glimpse you could start to comprehend why it is so easy and so successful. Biochar Action Learning Circles Do not. Lecture / Preach / Force / Reward / Punish / Fear / Compete / Expect / Require / Stress / Mark / Compare / Assess / Control. It took me a long time to try and figure out just how it works and I was really not getting anywhere until I decided to not try and analyse it and just Do it. Then the magic happened. Its all about Process rather than content. Lets say Process makes up 90% and Content makes up 10% Biochar Action Learning circles makes use of all the wonderful computing power that the homoSapien Mind has on offer then times that by up to 10. To get more of an idea on Biochar Action Learning Circles and how you can use the Action learning circles in your chosen field of experience go to BLAC hosted on Biocharproject.org or ring the creator Dr Paul Wildman on 0412027818 or Skype phwildman. The most impressive thing I have ever seen was at the end of the Circle when the group was asked who would like to continue to keep the group going all seven hands went straight up. That’s a 100% result folks. Proof to me the world is surely changing for the better. I am a farmer in Iran , I am interested in making an adam-retort kiln , but don,t have any diagram or details about it’s construction, would you please help me in this matter ? Next post: Biochar production as promised 1st August 2011. Adam retort.